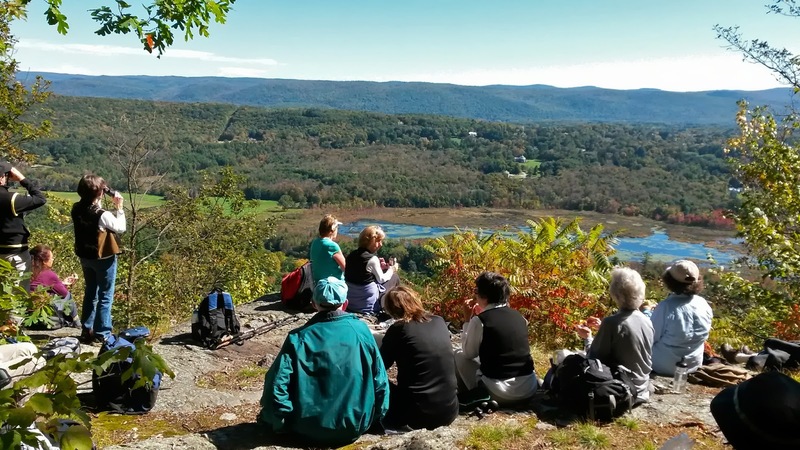 This week the Tuesday Berkshire Hikers walked from Olivia's Overlook to the Arcadian Shop by way of the Brothers Trail, the Ridge Trail, Reservoir Road, and various trails in Kennedy Park. 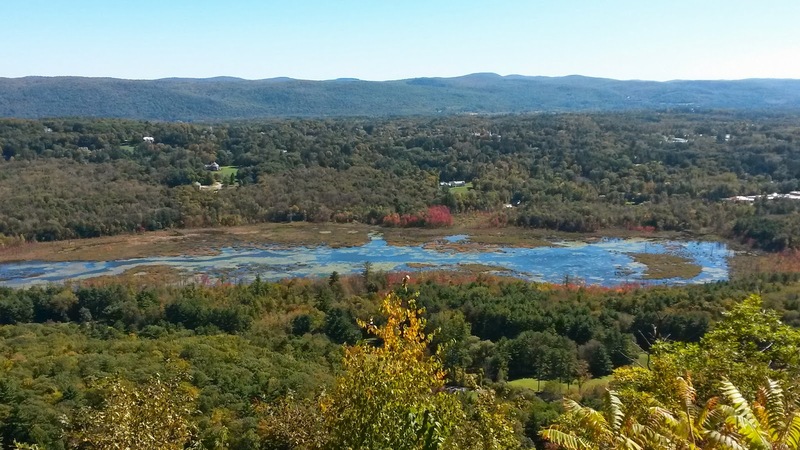 We took a side trail and stopped for lunch on a rock ledge above Under Mountain Road, Lenox, and overlooking the marsh in Marsh Brook. The village of Lenox was in the background. Turkey Vultures soared lazily overhead. What a beautiful fall day! 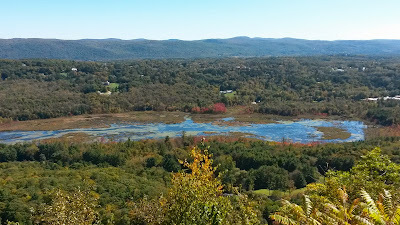 The marsh in Marsh Brook with Lenox beyond. The lookout was a great place for lunch and enjoying the view.